Creating personalized, feasible, effective, human and sustainable health areas adapted to the changes the health sector is going through, and the emergence of new technologies and new working methods. 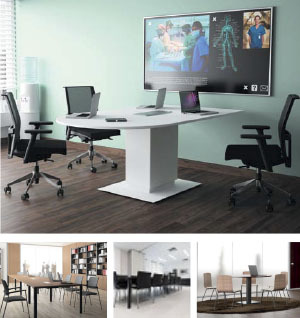 Space optimization and distribution; communication, collaboration and meeting areas, internal and public service needs; privacy; the ergonomics of each position; the sustainability of the set-up and the welfare and comfort of all those who work at the Centre, and the patients, residents and visitors. A laboratory must have a functional and flexible service system that can adapt to future distribution changes. It must offer different solutions in order to adapt the service point to the needs of the operator. 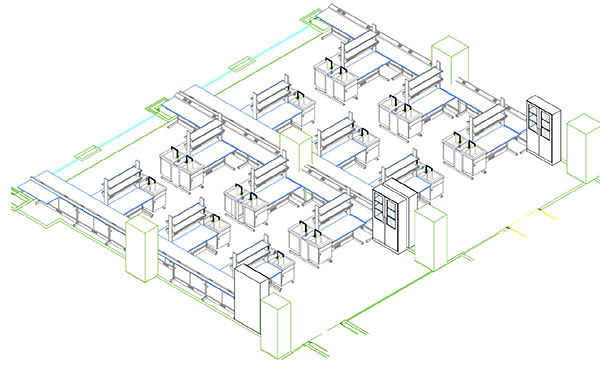 These solutions must be combinable in order to make every laboratory a versatile workspace. • Structures are made of 1.5-mm thick steel with an organic coating of epoxy-polyester resin, in accordance with normative DC01. 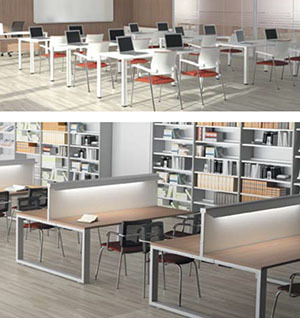 • Benches and height of the shelves are easily and simply adjusted. Built from extremely robust 6063 T6 injected aluminium, our frames have an organic coating of epoxy-polyester with a metallic finish. Can hold a vertical load of 200 kg per linear meter. The frames are finished off with a cold-laminated steel plinth with an organic coating of epoxy-polyester. 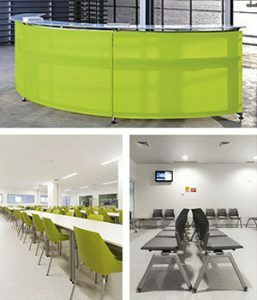 Built with 6060 T25 extruded aluminium with an epoxy-polyester coating with a metallic finish. The channels for cables and pipe are covered with service cover panels made of DC.01 cold-laminated steel with an epoxy-polyester coating. 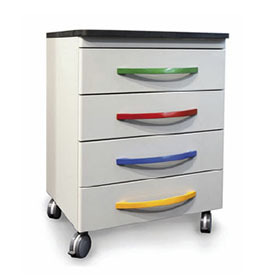 These C-shaped freestanding structures are designed to use sliding or wheeled cabinets. 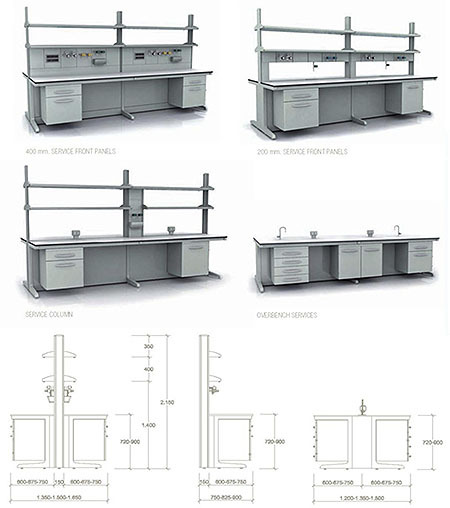 The scaffold bench has been specially designed to carry out chemical engineering projects and large assembly work. Systems act like filters, absorbing a high amplitude percentage of frequency vibrations. 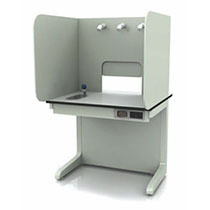 It is becoming more and more common to find laboratories that carry out work sporadically, which makes mobile tables rather useful. 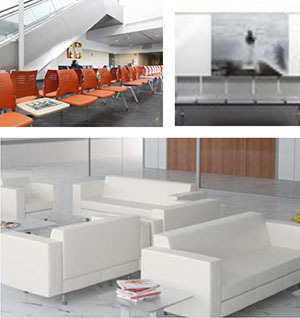 • Stainless Steel: cleaning areas. Ceramic Surface highly resistant to chemicals and well-suited for laboratories using very aggressive products. This is an extremely hard material, and is resistant to scratches, impact and contact with high temperatures. 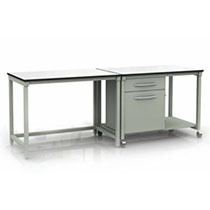 Trespa Toplab-Plus Work surface with a medium-high resistance to chemicals exceptionally well suited for nearly any type of work. Trespa Athlon Material with lower chemical resistance than Top Lab-Plus but with good physical performance. 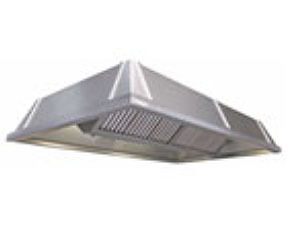 Stainless Steel Good chemical, thermal and mechanical performance. 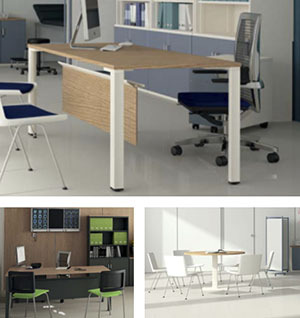 It allows for joint-less table construction for areas with special requirements. Melamine High-pressured laminate with a front post-form and PVC side edging. Low resistance to wet conditions and fire. Only suitable for desktops. Granite Material with a high chemical and physical resistance. • M0-tolerance to fire and remain completely unchanged in wet or contaminating conditions. Capable of supporting 40-kg loads. 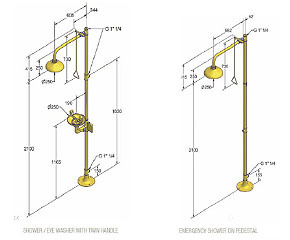 Mounted on telescopic guides. For low or high benches. 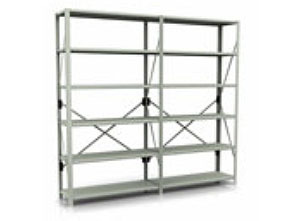 Built of twin soundproof steel panels with shock absorbers. Strength as well as smooth sliding action. Inner panels can store tall bottles. 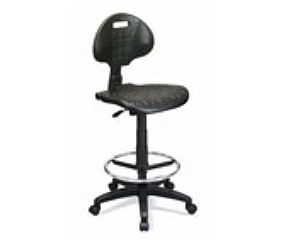 The fundamental purpose of this type of equipment is to guarantee the safety of users at all times. They must be made of materials resistant to mechanical, chemical and thermal forces, and must not be easily combustible. 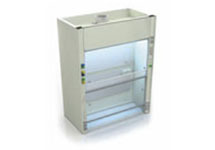 Due to the nature of the work usually carried out in a fume hood, there is a fire hazard, which may result in explosions or fires inside the apparatus. 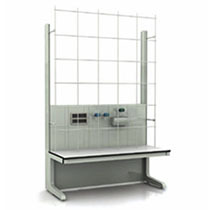 Standard DIN 1946 recommends that chemical laboratories renew 25 m3 of air per m2 of laboratory space per hour. A wide range of products includes washing and disinfection equipment, water treatment systems, manual and automatic loading / unloading systems, transport trolleys, sealing machines, furniture and storage solutions. 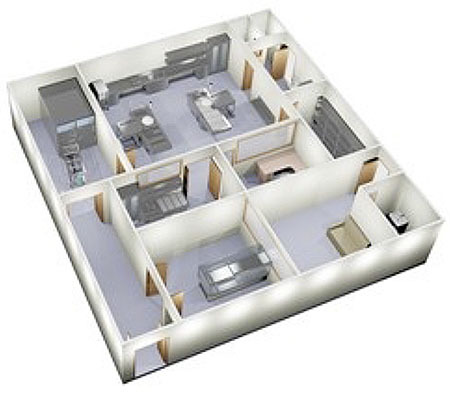 We also provide IT software packages for monitoring the CSSD and the entire operating theatre area. 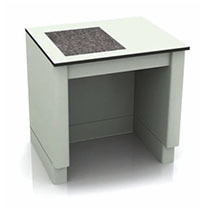 Adjustable tables with rounded edges that allow comfortable access to worktops. To facilitate the transfer of loading and unloading racks between the washing and preparation areas when these areas are separated by double-door thermal disinfecting washers. 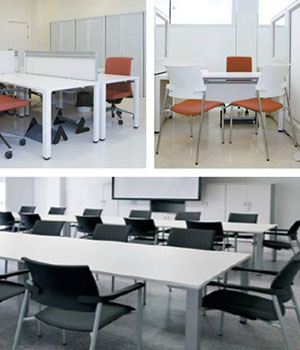 Matachana offers a variety of solutions that can be tailored to customer requirements. 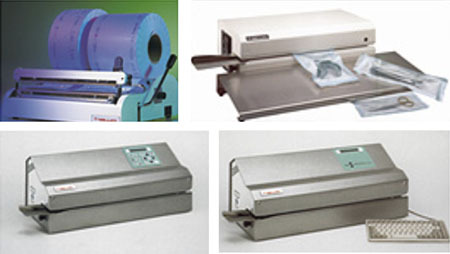 Manual sealing machines for the dental sector and small health centers. 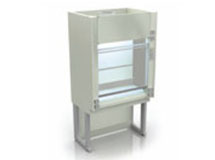 Sterilizers for specific uses in diverse sectors: hospitals, health centers, research centers and general industrial use. 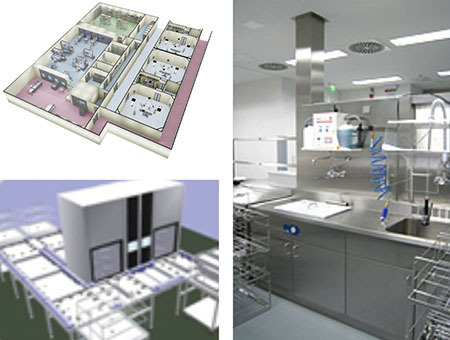 Liquid chemical sterilization provides fast and convenient reprocessing of cleaned, reusable, immersible and heat-sensitive critical and semi-critical devices. 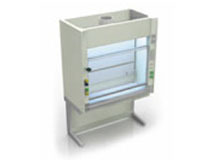 Ethylene Oxide sterilization for use with heat and moisture sensitive items. A safe and economical sterilization cycle. 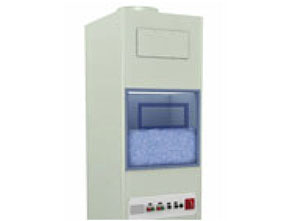 Steam Sterilizers (Autoclaves) Steam sterilizers designed to meet the requirements of hospitals, medical centers, laboratories, universities and research centers. Destroys medical waste or biocontaminated samples. 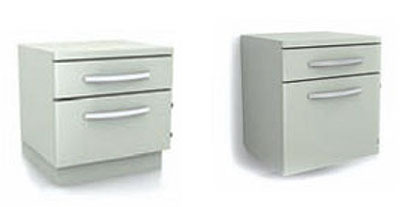 Upper worktop divided into two areas. 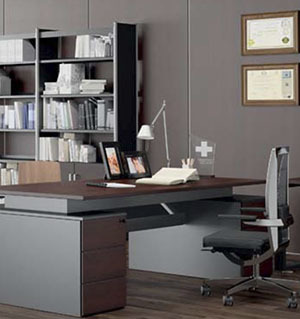 • Work area furniture with drawers, basin, cabinet, shelves, etc. 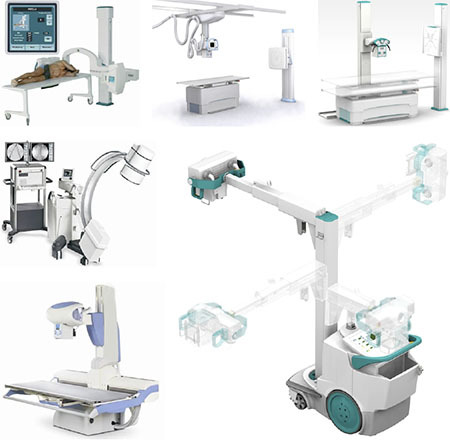 Radiology is where the company began, and has now becoming the main business activity by sales volume. Innovating technology applied to X-Ray generators, with exhaustive quality control and processing, have made this division of the company a world leader in the OEM X-Ray generator business. 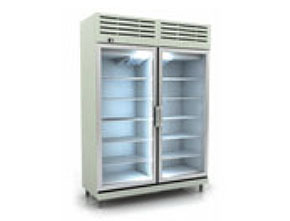 Exports have consistently grown, and these best-selling units are now exported to more than 120 countries. The R&D department is continuously working on developments to meet the ever-increasing technology requirements and competitiveness requested by RADIOLOGIA-SEDECAL partners and customers.